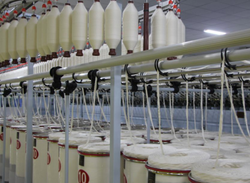 Bobbin Transport System is an important feature of mass production of textile. The line is light weight so that the bobbins are placed with speed. They can take in heat and friction. There is no chance of slippage as the dimensions are perfect and sturdy as per industry standards. They provide the best performance in the mass production of textile.